We got the chance to do a quick hands-on review of the Elephone S1 straight from their official launch announcement a week back. The Elephone S1 is now available for purchase exclusively at Lazada. It has an interesting price tag of just P3,999. If you are looking into a sub-P4k Android smartphone, you definitely want to give this new player a checking. Elephone aims to give the market something with a premium feel but a budget price tag, so here’s the Elephone S1. On the quick glance, its highly unbelievable that a phone this elegant sits at just the entry-level budget price tag of just P3,999. The Elephone S1 is made of double sided glass on the panels and metal frames on the side. The detailing on the phone’s design sure does give a premium feel. The curves on the Elephone S1’s housing, and the metallic frame perfectly contributes on giving an ergonomic grip even at a 5-inch panel size. It sits perfectly on my palm and I do not see it ever slipping on my grip. On the front is the front-facing camera, call speaker and sensors on top. No physical buttons present at all. The screen protector film takes all the fingerprints of those who had their hands on this phone (other media/blogger peers) and the obvious scratch marks. At the back is the rear camera, led flash, the fingerprint scanner, and the Elephone logo on the bottom. The material on the back is glass, definitely a fingerprint magnet as well for sweaty hands but the fact that it isn’t just matte or glossy plastic adds to the premium feel. A peek on the bottom side, it quickly reminded me of the similar design from phones on the top-tier price bracket. I have no problem with that, its the new in, and to be honest it really looks good. On this area, present are the micro USB port, speaker grills, and mic hole. On the right side, you can find the volume rocker as well as the still elegantly designed power button. While on the other side, it is just the sim cards and micro SD slot. At 6.7mm, this baby is really slim. On top, just the port for the 3.5mm earphone jack. To be honest, I did not know how to pop open this phone to check the insides. I might have forgotten, or never noticed a way to do so, or maybe you really couldn’t. I don’t know, the build quality is just amazing. It somehow made me not to think of popping this device into pieces. Total thumbs up for the design of such a cheap phone. The Elephone S1 comes in white or black color variants. The Elephone S1 has a 5 inches display of HD quality (1270×720 pixels in resolution) which is pretty much the standard ground for phones nowadays. Anything below that is a very noticeable on a 5 inches display in terms of screen quality. Im glad they didn’t settle into using WVGA or qHD display just to cut costs. The screen has adopted on-cell lamination and IPS technology, so there are no issues at any viewing angles. The colors are rich and vibrant. The Elephone S1 is equipped with 13MP Sony IMX149 rear camera, and an led flash to accompany it. It is capable of 1080P shooting, and various other shooting modes that the camera software offers. The sapphire lens aids in protecting the camera lens from breaking in the events of falls and scratches. The Elephone S1 runs on Android 5.1 Lollipop, with Freeme OS as its interface. Default UI is flat, clean, and you can always change it. Although honestly, I would prefer vanilla Android UI experience any day. Overall experience with it is smooth and snappy. It is a 3-point multi-touch. The 8GB ROM for internal storage memory is from Samsung. The Elephone S1 has all the necessary sensors. In terms of the SoC, the MT6580 quad core processor that is clocked at 1.3GHz is more than capable enough to carry out every usual tasks we do on an Android smartphone. The ARM Mali-400 GPU alongside is also capable for HD gaming. A friend of mine, ronnotthedj even tested playing NBA 2k16 on this device and surprisingly the game works without hiccups. I may have missed a lot of checks on this device, but I will try to look into those in the future. My hands-on time with the Elephone S1 is very limited that day so please pardon the uncovered stuff. I also haven’t find my way on properly using the fingerprint scanner tech on this device, but its a pretty cool add-on especially considering its very low SRP. The Elephone S1 is a Lazada exclusive phone, at P3,999 with free screen protector and TPU case, it is definitely a good deal. 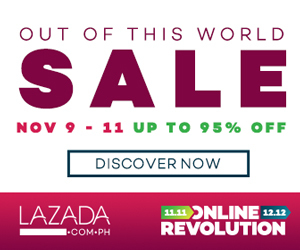 Plus you can still always use vouchers when buying on Lazada. If only I am in need of a new Android phone and my budget is just four thousand pesos, I’ll be picking this one up for sure if you’ll ask me. Click here to see the Elephone S1 listing on Lazada.